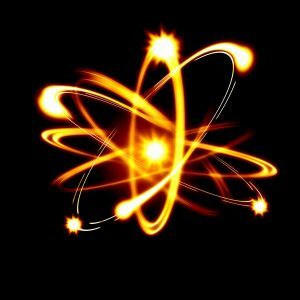 The theoretical branch of the field of ultracold atoms is completely interdisciplinary, attracting top scientists from atomic, condensed matter, high energy and nuclear physics, as well as from quantum optics and quantum information. A practical technique that can quickly and efficiently transport ultracold atoms into a hollow fiber has been created by Patrick Windpassinger and colleagues at Johannes Gutenberg University Mainz in Germany. The technique involves allowing the atoms to ride on an “optical conveyor belt” created by two laser beams. Once inside the optical fiber, the atoms could be used in a wide range of applications, including quantum computing and sensing. Ultracold atoms are atoms that are maintained at temperatures close to 0 kelvin (absolute zero), typically below temperatures of some tenths of microkelvins (µK). At these temperatures the atom’s quantum-mechanical properties become important. To reach such low temperatures, a combination of several techniques has to be used. First, atoms are usually trapped and pre-cooled via laser cooling in a magneto-optical trap (MOT). To reach the lowest possible temperature, further cooling is performed using evaporative cooling in a magnetic or optical trap. Laser diodes are used for many of the standard MOT’s. By employing a 2-dimensional diffraction grating it is possible to generate the configuration of laser beams required for a magneto-optical trap from a single laser beam and thus have a very compact magneto-optical trap. The laser beam therefore needs to be accurate, the lens required must be constructed with the highest clarity available. The engineers at Universe Optics will work with you to ensure that the precision lens required will meet your specifications. Over the past few decades, ensembles of ultracold atoms have proved incredibly useful for applications such as simulating quantum states of matter, measuring tiny forces and storing and processing quantum information. Since many applications involve laser lights to interact with atoms, physicists are working hard to make this interaction as precise as possible. This can be done by confining a cloud of ultracold atoms within a hollow fiber before firing the appropriate laser light into the fiber. However, getting the atoms into a fiber without heating them up, or losing most of them is a big challenge. To accomplish this, the atoms need to fall under gravity into a fiber or by using a “magnetic funnel”. Another is the optical conveyor belt, which was first demonstrated in 2014 at the University of Tokyo by Hidetoshi Katori and colleagues. A key benefit of this technique, according to Windpassinger and colleagues, is that the atoms can be transported and positioned with great precision. However, doing so without losing lots of atoms or without heating the atoms remain important goals. Windpassinger and colleagues have built and characterized an optical conveyor system and shown that atoms can be transported in relatively large numbers while keeping them ultracold. It involves first trapping and cooling of a cloud of rubidium-87 atoms in a magneto-optical trap (MOT). The atoms are initially held about 6 mm from the end of a fiber that is 10 cm long with a hollow core of diameter 60 µm. The field of quantum gases or ultracold atoms is the fastest expanding, and most interdisciplinary field in physics today. The experimental branch of this exciting new field uses the techniques of atomic, molecular and optical physics to study many-body systems consisting of extremely cold-trapped atoms. These are condensed matter systems whose constituents have well-understood microscopic interactions. At sufficiently low temperatures, the large de Broglie wavelengths of the atoms allow these systems to exhibit quantum phenomena on a macroscopic scale.